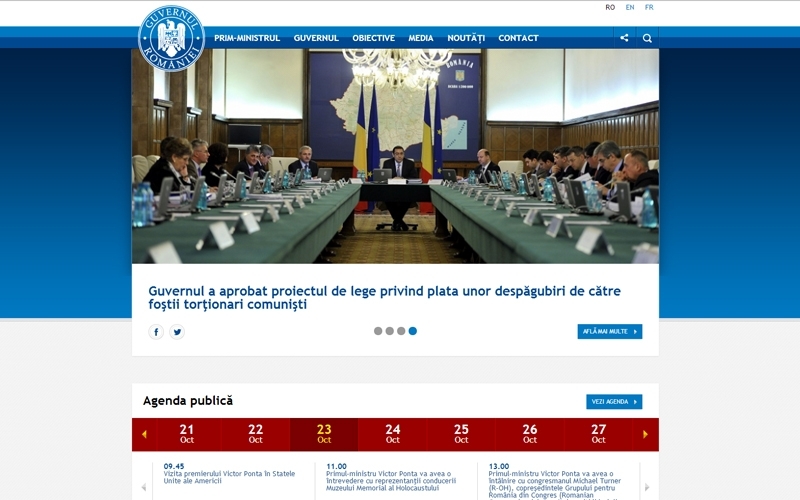 The Government is one of the main most important institutions of the Romanian state, whose presence and activity have a significant impact in the country and abroad. The web portal is one of the tools via which the institutions disseminate public information regarding their activities. 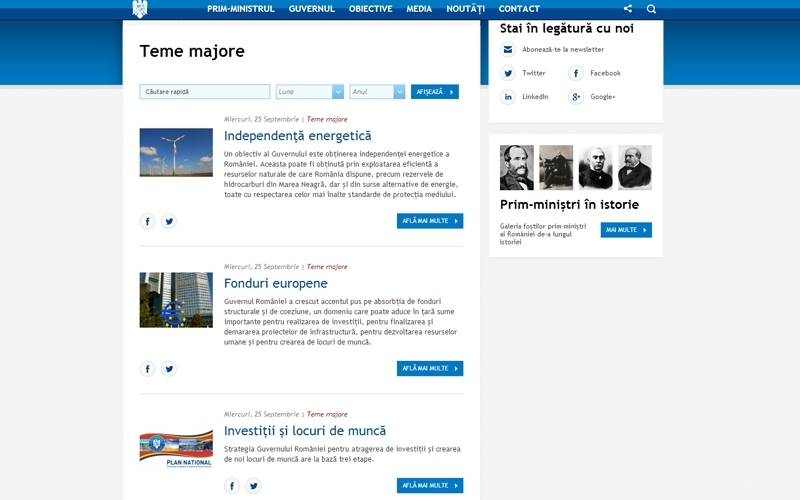 The large volume of information handled and the need for flexibility and security criteria, were taken into account in the accomplishment of the project of restyling and restructuring of the online platform, aspects which imposed the development of an efficient content management system and the restructuring of the portal’s functionalities in front-end and back-end. the optimum structure of the content according to the institution’s communication and organization needs. 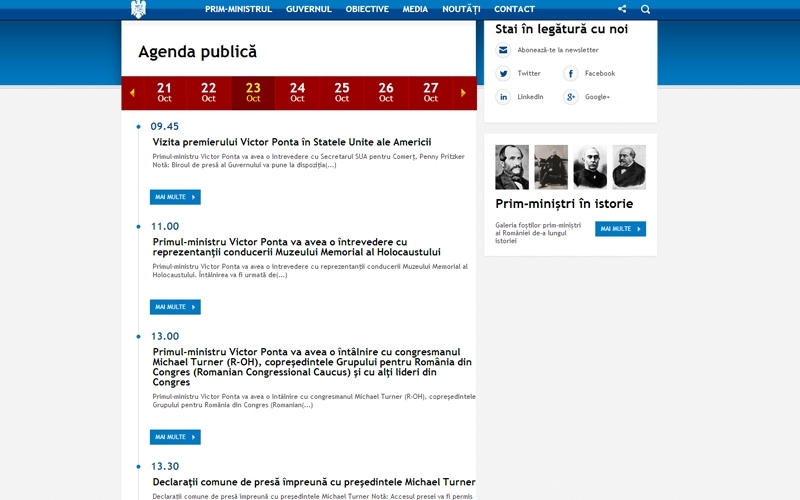 special modules for publishing public agenda, government meetings, lists of ministers, etc . 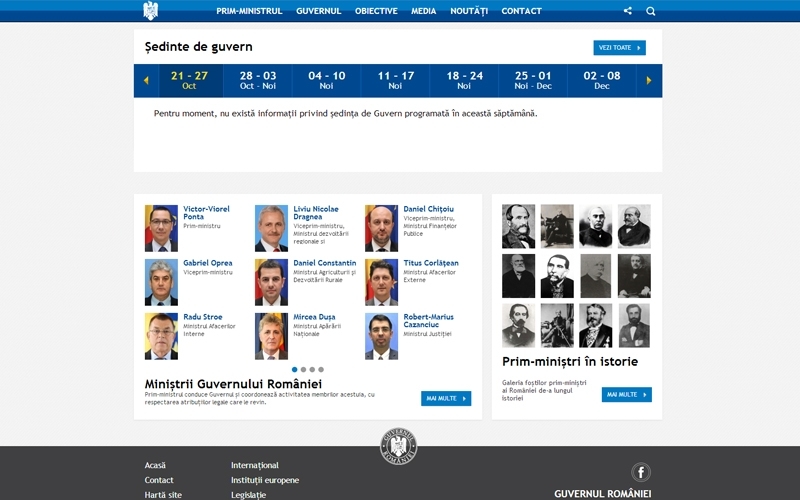 Then new platform of the Romanian Government is a modern one, with high level of functionality and a well defined and accessible structure. In addition, the information related to organization, operation and activities of the Government members are much easier to follow, anywhere anytime , from any mobile or static device of the user.